We’ve had a few weeks to get accustomed to iOS 5 and Mac OS X Lion, but one headlining feature has been notably inaccessible since it was unveiled earlier this summer. During his WWDC keynote, Steve Jobs touted iCloud as a service that will sync many of your Apple devices, for free. Macs, iPhones, iPads, and even Windows computers can synchronize documents, contacts, calendar appointments, and other data. You’ll also be able to back up your iOS devices remotely, use an Apple-hosted email account, and store your music in the cloud. Well, this week Apple finally lit up its cloud-based service for developers, letting some of us take a sneak peek at the new service. Apple also announced pricing, confirming that you’ll be able to add annual subscriptions with 10GB ($20), 20GB ($40), or 50GB ($100) of storage ‘atop your free 5GB account. We took our five gig account for a spin, creating documents in Pages, spreadsheets in Numbers, and presentations in Keynote, then accessing them from the iCloud web interface to download Microsoft Office and PDF versions. We also tried our luck at iOS data syncing and the soon-to-be-controversial Photo Stream, so jump past the break for our full iCloud hands-on. 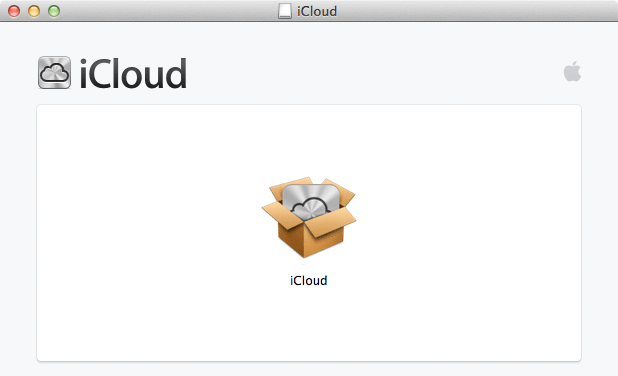 Apple iCloud and iWork beta for iOS hands-on originally appeared on Engadget on Tue, 02 Aug 2011 17:48:00 EDT. Please see our terms for use of feeds. US carriers were quick to acknowledge their allegiance to Voice over LTE (VoLTE), a 4G VoIP-related technology first demonstrated in February. Ever since that time, however, talk of deployment plans have been replaced by crickets. MetroPCS was the first to break the silence, as CEO Roger Linquist announced at this morning’s quarterly earnings call that his company’s “planning to begin introducing VoLTE-capable handsets early next year to move voice as well as data traffic to [its] LTE network.” The outfit’s wasting no time making the full transition to 4G, as it’s already begun migrating its SMS and MMS services to this service. An increasing sense of urgency is likely hitting the company hard, as implementing VoLTE will ease some of the burden of its limited spectrum by devoting more bandwidth to 4G. What’s better, the anticipated timeframe may even allow MetroPCS to beat Verizon to market — which has also targeted 2012 as a launch date for its equivalent service — as well as AT&T, currently aiming for a 2013 takeoff. No matter what, we’re ecstatic to soon be flooded with more HD-clarity calls than we care to take. MetroPCS will begin transition to VoLTE early next year originally appeared on Engadget on Tue, 02 Aug 2011 17:24:00 EDT. Please see our terms for use of feeds. Hard to believe that we spotted OCZ Technology’s original Z-Drive at CeBIT 2009. Just over two full years have passed, and already we’ve seen the 600MB/sec claims offered on that fellow eclipsed by a few successors. Today, the latest in the line is making its debut, with the Z-Drive R4 offering 2,800MB/sec and over 500,000 IOPS with a single SuperScale controller; step up to a dualie, and you’ll see 5,600MB/sec transfer rates coupled with 1.2 million input-output operations per second. Not surprisingly, this guy’s aimed squarely at enterprise users — folks who can genuinely take advantage of the speed, and are willing to pay the unpublished rates (yeah, we asked!) that go along with it. It’s retaining the PCIe-based form factor, and will be shipped in two standard configurations: a half height version designed for space constrained 1U servers and multi-node rackmount servers, and a full height version. Each of those will be made available with SLC / MLC NAND flash memory, and as with all of OCZ’s enterprise kit, customer-specific configurations and functionality are available upon request. Full release is after the break, big spender. OCZ’s Z-Drive R4 PCIe SSD offers 2,800MB/sec, 500,000 IOPS, plenty of thrills originally appeared on Engadget on Tue, 02 Aug 2011 17:00:00 EDT. Please see our terms for use of feeds. This entry was posted on August 2, 2011, 5:58 pm and is filed under Mobility. You can follow any responses to this entry through RSS 2.0. Both comments and pings are currently closed.